One of the challenges that my students face is developing their ideas so that they are not just skimming the surface. Asking them to ‘develop further’ usually leaves them unsure how they can extend their writing to give it the requisite depth. 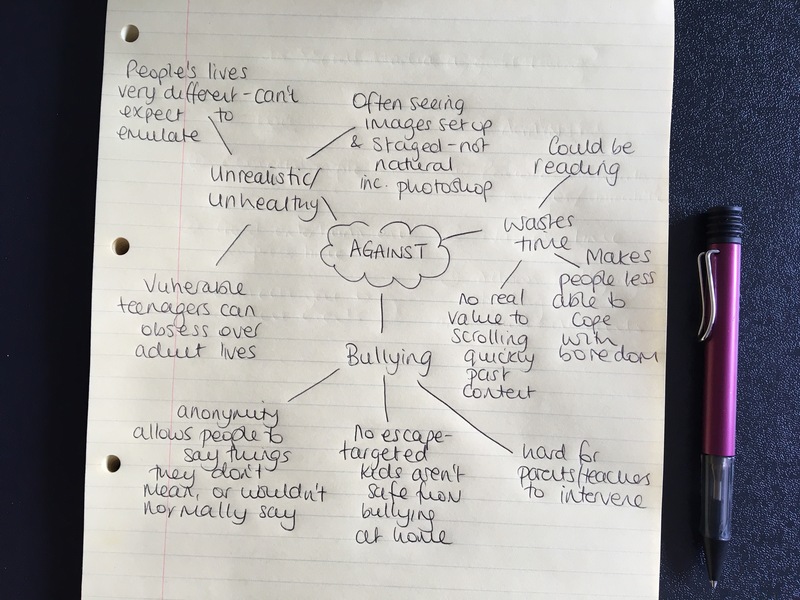 Teachers often encourage students to mind map their ideas but I know I don’t always make it explicit why this technique (and using spider diagrams in particular) helps to train students to brainstorm ideas and turn them into honed, structured points. I am sure that this will bring out ideas on both sides of the debate. But how do we start to extend the initial thoughts into a meaningful argument? 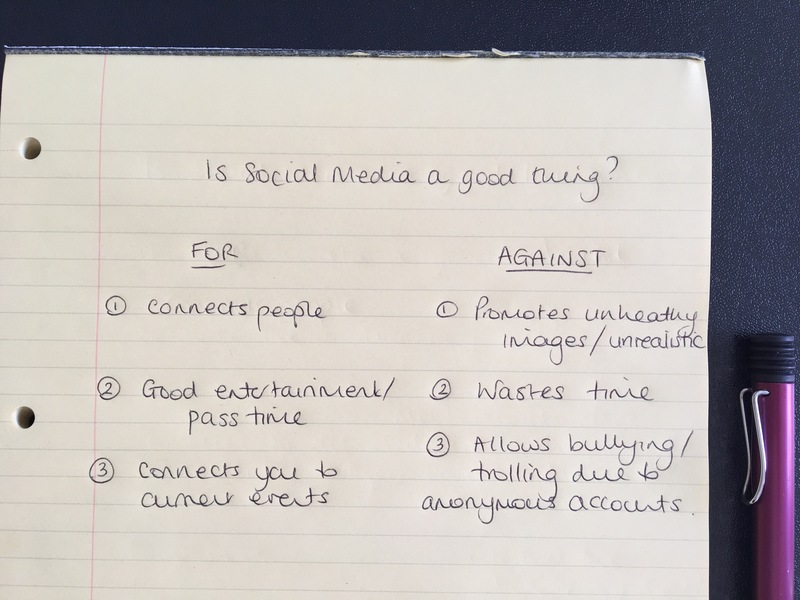 As a user social media myself, I would naturally want to argue FOR it but looking at this list, I can already see that it is the AGAINST side that carries a more weighty argument. Within each main point, there are subpoints to be made to help strengthen the viewpoint. Not only will this provide a great reference for writing under pressure in the exam but it also naturally organises the ideas into a sensible, cohesive essay which would work for an article, a speech, a letter or whatever form is expected in the exam question. If you work with me, you can learn more about how to structure your writing here.